Born: 19 April 1861, Flaxley, Gloucestershire, England. Ernest G. Williams started an apprenticeship in civil and mining engineering with John M. Johnson of Hexham, Northumberland, in November 1876. In June the next year he transferred to T.J. Bewick of Haydon Bridge, Northumberland, and London, completing his training in November 1883. He then worked as Bewick's assistant for more than four years, during which he had much experience in hydraulic, railway and mining engineering, was in charge of metalliferous mines in Northumberland, Durham, Cumberland and Wales, and for some time was superintendent of the lead smelting works of Bewick and partners at Hebburn-on-Tyne. In February 1888 Williams became chief assistant to Bewick & Moreing in London and in November 1889 the firm sent him to Johannesburg. He represented them until May 1892, when he started practising as a consultant engineer to the Transvaal Coal Trust Company, Cassel Coal Company, New Kleinfontein Company, Van Ryn Estate and Gold Mining Company, and other concerns. That same year he became a foundation member of the South African Association of Engineers and Architects (from 1898 the South African Association of Engineers). His only known publication in South Africa was a chapter entitled "The coal fields" (of the Transvaal) in the Illustrated official handbook of the Cape and South Africa (Cape Town, 1893, pp. 513-518). In September 1893 Williams went to Western Australia as resident partner in Bewick, Moreing and Company. Under his direction the dry crushing of ore was introduced at the Mannan's Brownhill Gold Mine on the Kalgoorlie goldfields, and he was one of the first to recognise the value of the tube mill to crush gold ore. During his stay he became president of the Coolgardie Chamber of Mines. On 11 July 1894 he married Mary Holmes, who came from the Free State and with whom he had three children. 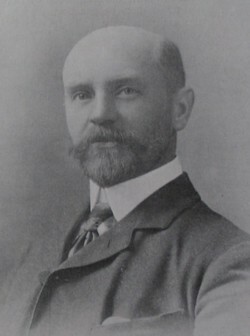 Williams returned to South Africa as a partner in Bewick, Moreing and Company around 1897 and after about two years in Brakpan settled in Johannesburg. In November 1903, after the Anglo-Boer War (1899-1902), he once more set up his own practice in that city, though he continued to represent his old firm. He became a member of the Chemical and Metallurgical Society of South Africa in 1897and remained a member of the renamed Chemical, Metallurgical and Mining Society of South Africa until at least 1905. He also joined the Geological Society of South Africa and was still a member by 1906. In 1902 he became a foundation member of the South African Association for the Advancement of Science, served on the committee for Section C (which included engineering) in 1903/4, represented Johannesburg on the association's council from 1904, and was joint vice-president of the association for 1907/8. Following the joint meeting of the British and South African Associations for the Advancement of Science in 1905 he served as sub-editor for Section G (Engineering) of the Addresses and papers... published after the meeting. He was president of the South African Association of Engineers for 1904/5. Williams was admitted as an associate member of the (British) Institution of Civil Engineers in May 1889, and as a member of the (British) Institution of Mining and Metallurgy in May 1902. By 1917 he had business addresses in both Johannesburg and London. Addresses and papers read at the joint meeting of the British and South African Associations for the Advancement of Science, held in South Africa, 1905, Vol. 2. Johannesburg: SAAAS. Chemical and Metallurgical Society of South Africa. Proceedings, 1897-1899, Vol. 2, list of members. Noble, J. (ed.) Illustrated official handbook of the Cape and South Africa. Cape Town: Juta, 1893. South African Association for the Advancement of Science. Report, 1903, 1904, 1905/6, 1907. South African Association of Engineers and Architects. Proceedings, 1892-1894, Vol. 1, and 1897-1898, Vol. 4: Lists of members.